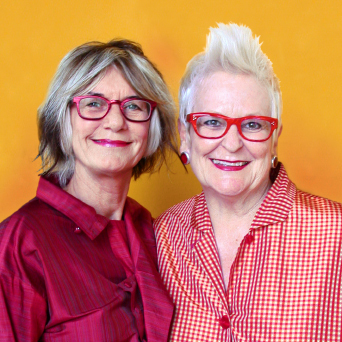 The two designers of the l.a.Eyeworks collection, Gai Gherardi and Barbara McReynolds, have been stirring up the codes of fashion since 1979 offering frames with a strong power of seduction. Being the first to use laser cutting and engraving, these two opticians from Los Angeles have created very arty eyeglasses with a surprising choice in colors. A skilful blend of classicism and eccentricity, the l.a.Eyeworks frames are sometimes simple, often original, and definitely distinctive. The collaboration with the architect Neil Denari and the artist Jim Isermann for completion of the l.a.Eyeworks store on Beverly Boulevard reflects the Designers passion for art and design.